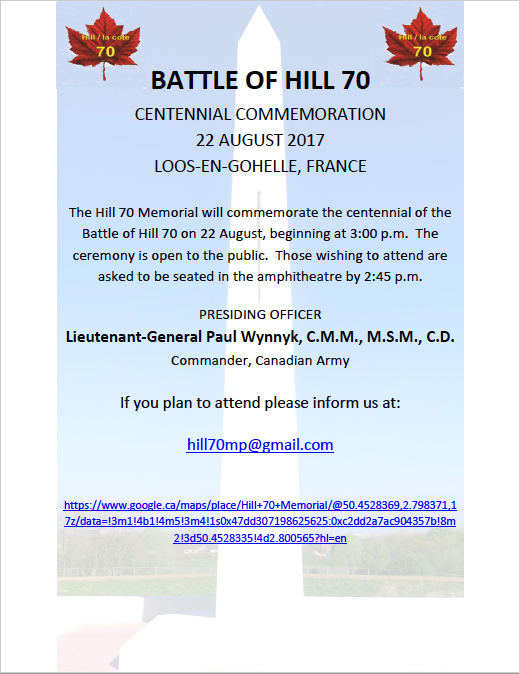 The Hill 70 Memorial will commemorate the centennial of the Battle of Hill 70 on 22 August, beginning at 3:00 p.m. The ceremony is open to the public. Those wishing to attend are asked to be seated in the amphitheatre by 2:45 p.m.